Beans, lentils, pigeon peas ... all of them are indisputable protagonists of the Central American diet and a fundamental part of a healthy diet. Legumes or l, have excellent nutritional qualities: they are rich in fiber, antioxidants, vitamins, iron and are a source of vegetable protein. In fact, this food has twice the protein found in wheat and triple that in rice. Legumes are essential for most populations in developing countries and the most vulnerable communities, being very nutritious, long-lasting and economically accessible. In addition, they are an important source of employment and income for family farmers, especially in the Central American region. But in addition to their nutritional benefits and their contribution to the food and nutrition security of families, pulses promote sustainable agriculture. Its production requires a smaller amount of water, especially in comparison with other sources of protein, and helps to increase the biomass and microbial activity of the soil, by converting atmospheric nitrogen into nitrogen compounds, which favor soil fertility and its biodiversity. 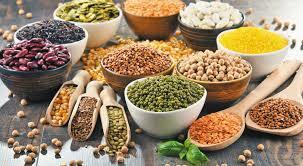 It is estimated that legumes can fix between 72 and 350 kilograms of nitrogen per hectare per year. Some species of legumes are also capable of releasing phosphorus into the soil, which plays an important role in the nutrition of plants. These two characteristics are especially important for low-input agricultural production systems and agroecological principles since they substantially reduce the use of fertilizers. The use of legumes in intercropping systems and as protection crops can also reduce soil erosion and contribute to the fight against pests and diseases. Another of its virtues is that they have a wide genetic diversity, particularly important because of this diversity can be obtained more resistant varieties to the effects of climate change. For these and other qualities, the United Nations declared 2016 as the International Year of Legumes, an international call to give value to this food. The Organization of the United Nations for Food and Agriculture (FAO) was the organism that facilitated the celebration of that year, which was joined by governments, international organizations, academic institutions, and other entities to raise awareness about the benefits associated with their production. , distribution and consumption. After the success of the International Year of Pulses, last year the General Assembly of the UN designated February 10 as World Vegetable Day, continuing this important work of awareness and dissemination. On the occasion of this day, we invite you to investigate more about vegetables and join this celebration through its dissemination and consumption. In this way, you will be contributing to your health and a more sustainable future for all.